The photo eye sensor is an essential component to a garage door operating system. Essentially, it acts as a safety system to make sure nothing is underneath the garage door when it is activated. 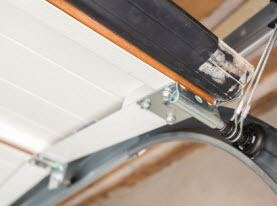 Often when a garage door seems to be completely malfunctioning it could be due to a problem with the photo eye sensor. 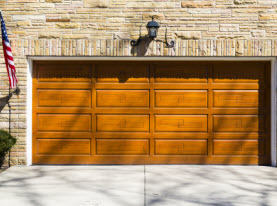 AAA Action Garage Doors will share the purpose of the photo eye sensor and common garage door failure due to problems with the photo eye sensor. When a garage door system is installed in a home there are two photo eye sensors put on each side of the garage door. They are about six inches off of the ground. These sensors line up with each and send out an invisible beam that connects to each other. If this beam gets interrupted, it sends a signal to the garage door opener and stops the garage door from closing. This is a safety system that was put in place back in the 1990’s. It was designed to prevent garage doors from coming down on vehicles or people. 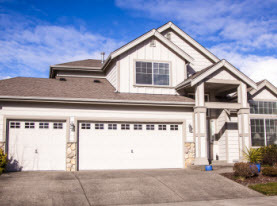 There is a surprising amount of injuries and death due to garage door accidents. •	The red light on the sensor is blinking. •	The garage door opens but the garage door won’t close. •	The Door will begin to close, stop and retract back up again. These symptoms often indicate that there is a problem with the sensor. In some cases there are some easy fixes while other times the sensors may require the need to be replaced. When there is a problem with the photo eye sensors follow these steps to determine if the sensors can be fixed or needs replacement. 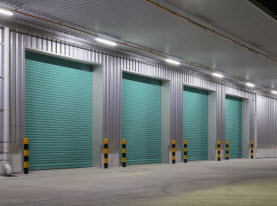 Check for Garage Door Obstruction: Often the sensors are working just fine but there is something obstructing the sensor or beam. Check to see if there is any debris, tools, boxes or kid’s toys blocking or is in the way of the sensor. Sometimes the sensor can get dirty and dust builds up enough where the beam can’t pass through. Either clean the sensor or clear away any obstructions. Check for Garage Door Misalignment: The photo eye sensor must perfectly align in order for the beams to meet. If the two beams don’t meet then the garage door won’t open or close. It is common for a sensor to get bumped out of place. Another similar problem is when the sensors are in direct sunlight. Sunlight can interfere with the sensor. You may need to realign or make sure the sensors are shaded. Damaged Photo Eye Sensor: Sensors can break or get damaged over time. Exterior damage is easily identified which will require the sensors to be replaced. Internal damage can also occur. Internal damage often requires a garage technician to inspect the sensors and determine if they are broken. The photo eye sensor is the garage door’s safety system and is essential. If you are having malfunctions with your garage door, contact AAA Action Garage Doors today.